is needed but that it’s reliable and safe to use during peak periods. Customized Maintenance Plans – Our team can customize a program of scheduled maintenance and inspection to pinpoint problems and avert many breakdowns. Visual Assessment – Our visual conveyor inspection ensures that accurate recommendations are made and the correct products are installed prior to purchase. photos of trouble spots, along with solutions to improve your conveyor’s performance. installations, replace cleaner blades and worn parts, do repairs when something fails…and much more! for size, shape and features. Call to schedule this mobile showroom at your location! FACE to FACE – We focus on maintenance and service programs to make sure your equipment is running perfectly. Our service and sales technicians are always available to answer any questions you may have…anytime! Conveyor Belt Vulcanizing and Splicing Services – ASGCO® is a certified belt splicing company. Our technicians are trained in the latest splice procedures and material usage for conveyor belting. (fabric and steel cord; hot and cold vulcanizing; mechanical fasteners). We can also do complete conveyor belt change out on-site. MSHA Trained Field Crews – Our field crew members undergo rigorous in-house and factory splice training resulting in an ideal splice for all belt constructions. 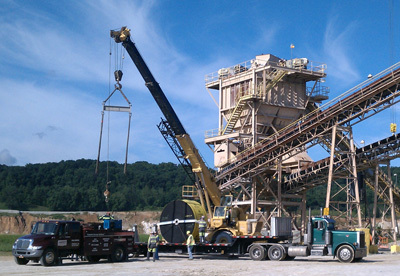 We work safely – all crews are certified to MSHA parts 46 and 48B, OSHA 10 and 30 where appropriate. 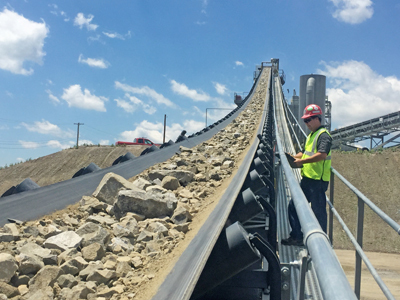 Avoid emergencies with your conveyor belt systems by allowing ASGCO® Engineering and Consulting Services to examine your operation and pinpoint the trouble spots that are likely to disrupt your conveyor system. A program of planned and scheduled maintenance can avert many breakdowns. Our program’s goal is to service the equipment properly at the lowest cost.